Patonga village is on the map and will be buzzing even more with our Annual Easter Fete. 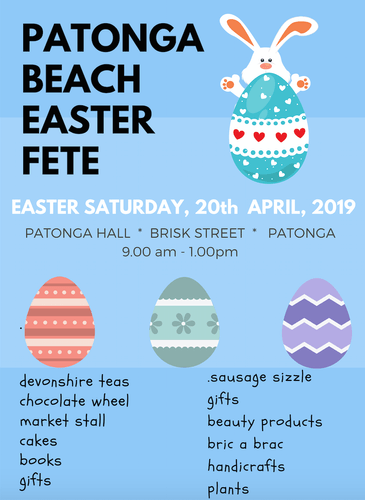 The fete is the major fundraiser for the Patonga community with everyone involved to make it the most social day of the year in the once sleepy village of Patonga with the streets blocked off and the men hard at work on the BBQ. There will be homemade scones warming for the Devonshire Teas, the superb cakes selling fast from our amazing chefs, tempting home made jams and preserves, stalls selling arts and crafts, second hand treasures and lots of happy customers.